Coming at you with ANOTHER Bliss ball recipe (have you tried my Strawberries and Cream Bliss Ball Recipe yet?) 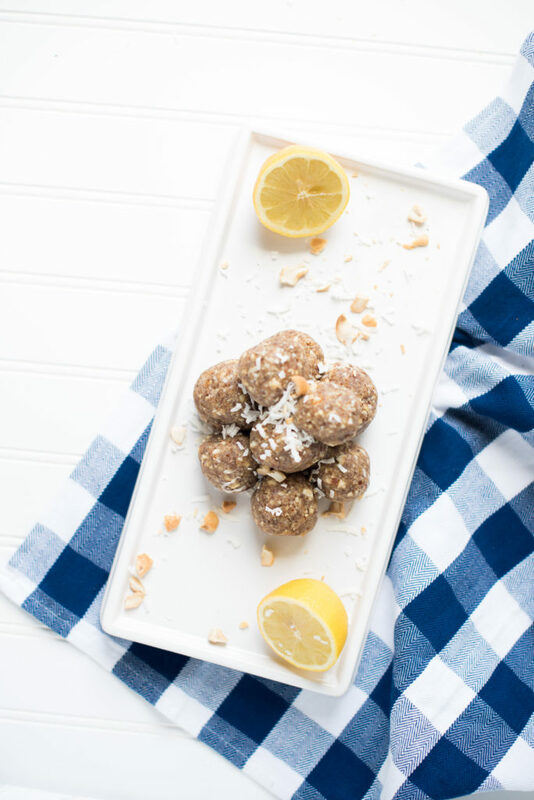 These Lemon Cookie Bliss Balls are one of my go-to snack when we want something sweet, already prepared, and healthy. 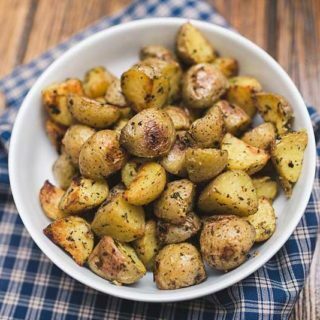 I make a batch of these during meal prep or when I have an extra lemon and store them in the fridge for up to a month. 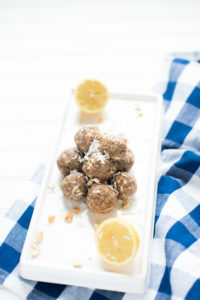 These Lemon Cookie Bliss Balls are sweet, tangy, and delicious. 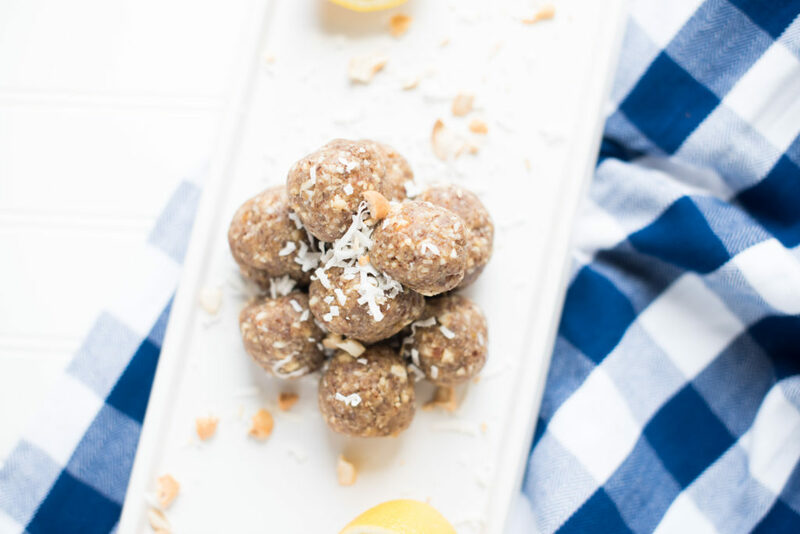 Sweet and soft dates, paired with creamy cashew butter, flaked coconut, almonds, and raw cashews create the easiest and most delicious treat with whole and healthy ingredients! No bake treats are great all year but when you can’t be bothered with a batch of cookies or brownies, bring these to the summer party or picnic. 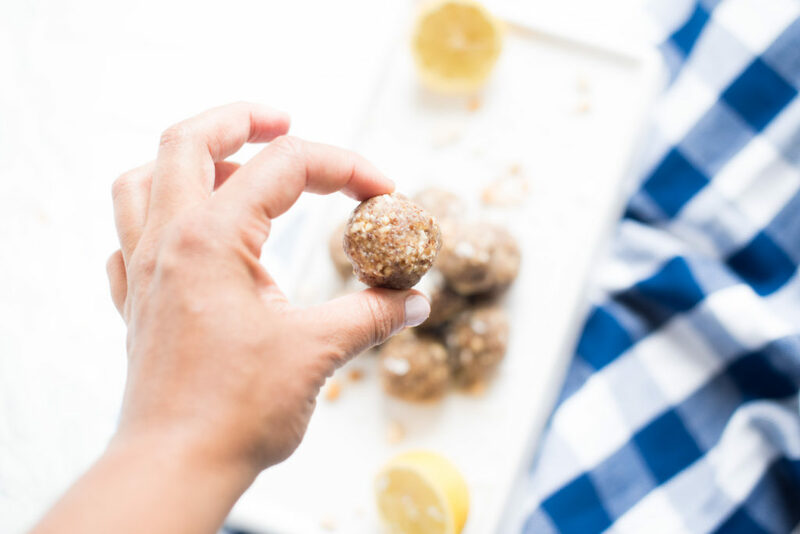 The perfect portable snack: Lemon Cookie Bliss Balls sweetened with dates and made with the perfect combination of nuts and coconut flakes. Add all the ingredient to the food processor and pulse till mixture starts to form. I like to wet my hands with a little water and roll tablespoon size balls. *vanilla powder can be hard to find. Omit if necessary. If necessary, add more almonds if too wet. If too dry, add another tbsp of cashew butter. Want to know what food processor I have and LOVE?<– Click Here! Interested in my other kitchen essentials? 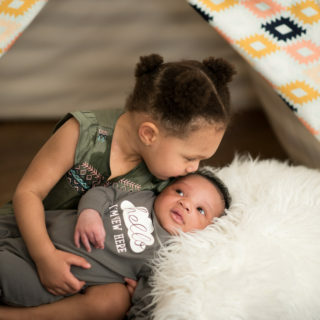 Check out my amazon store!